The Cochran Firm, D.C. is representing victims who allege they were sexually assaulted by Dr. Bryan Williams while he practiced medicine for Kaiser Permanente at Kensington Medical Center. The sexual assault attorneys of The Cochran Firm, D.C. take these allegations extremely seriously and strongly suggest individuals who believe they were victimized by Dr. Bryan Williams to contact an experienced Kensington, MD sexual assault attorney. Our law office offers free and fully confidential legal consultations to victims of Dr. Bryan Williams. The Cochran Firm, D.C. understands that these issues can be extremely difficult to deal with and our goal is to represent victims with compassion and dignity while they seek justice for their harm. The consultation costs absolutely nothing and individuals are under no obligation by taking the time to speak to us about their case. The Cochran Firm, D.C. has experience handling many similar cases and understand the delicacies required to help victims through these situations. Because this abuse occurred over a period of year, time is of the essence. Statute of limitations are running out and you should act quickly to ensure that your rights are protected. Kaiser Permanente knew about the alleged misconduct of Dr. Bryan Williams but did nothing to warn victims about the abuse they may have suffered and apparently made no attempts to contact former patients. At The Cochran Firm, D.C., we represent ordinary people hurt by the malicious and negligent behavior of wrongdoers and are fully prepared to stand up to powerful entities like Kaiser Permanente. Attorneys at The Cochran Firm, D.C. were members of the Plaintiff’s Steering Committee in the class action lawsuit against Baltimore gynecologist Dr. Nikita Levy which secured $190 million from Johns Hopkins Hospital for victims. 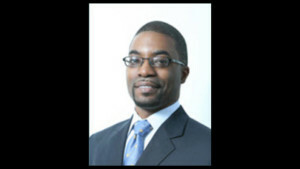 The Cochran Firm, D.C. also represented victims of Dr. Barry, Freundel’s malicious behavior. Our office is proud of the work it did to help secure justice for those harmed and are fully prepared to do so again for victims of Dr. Bryan S. Williams. In addition to possible criminal charges and discharge by state medical boards, Dr. Bryan Williams and Kaiser Permanente may be held liable for their actions through civil claims. Our justice system prescribes these claims as remedies for the harm suffered by victims and sends a message to other would-be parties that society will not tolerate this kind of behavior. Our office is already representing victims who allege they were harmed by Dr. Bryan Williams at his offices in Kensington, MD and Largo, MD. If you would like to discuss your legal options, call our office at 202-682-5800 during business hours or at 1-800-THE FIRM (843-3476) to reach a legal representative 24 hours a day. You may also fill out a confidential online contact form with your information and case details and we will contact you at your earliest convenience. The information you provide to us is kept in-house and will not be shared with outside parties.